As always, open the image in a new tab to see full size. 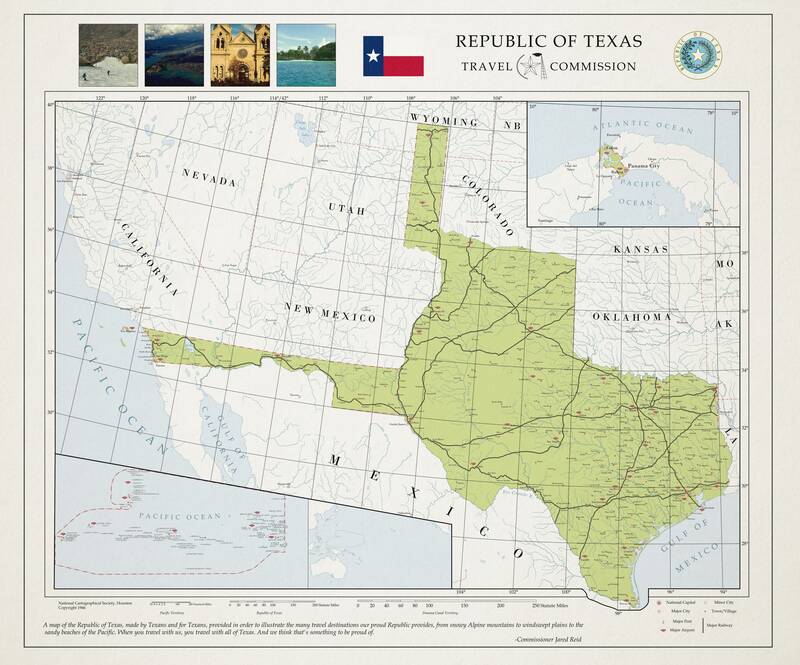 Here is a map done on commission to depict a relatively modern Republic of Texas that not only survived but became quite the powerful state in and of itself. Here it depicts the Republic in the form of a travel map to encourage citizens in the Texas Triangle (the cities of Dallas, Houston, San Antonio, and Austin which form a triangle relative to each other) to get out and see what the nation has to offer. Not much else to say here, as I did pretty much everything as close to how the commissioner wanted it and that was about it. I hope everyone enjoys! If anyone would like a commission like this one, feel free to contact via lynn@lynnz.world or through the Contact Form on my "About Me" page!